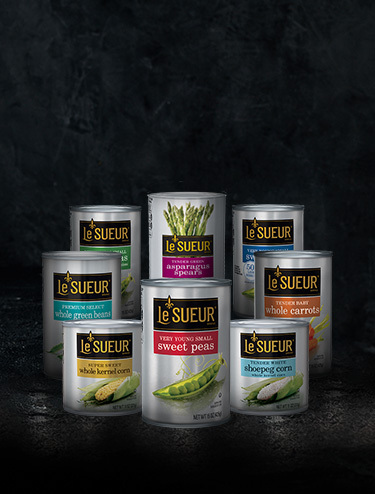 For those looking for the very best, Le Sueur® peas is the natural choice. 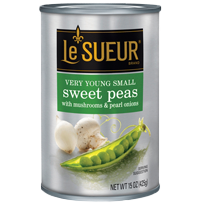 Sweet and delicious, our very small Le Sueur® peas make a big difference no matter what you’re cooking. This delicious blend of sweet peas, mushrooms and pearl onions is great on its own or added to a favorite recipe. Ingredients: Sweet Peas, Water, Mushrooms, Pearl Onions with Sodium Metabisulfite and Potassium Sorbate Added to Protect Color, Sugar, Salt, Citric Acid, Calcium Chloride, Ascorbic Acid, Natural Flavor.